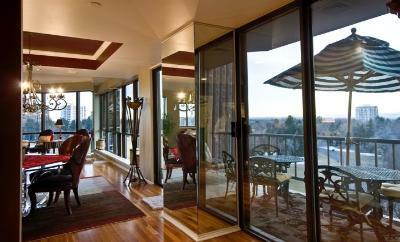 At a majestic 20 stories in height and next to Cheesman Park, these residential building offer fantastic views and great living. 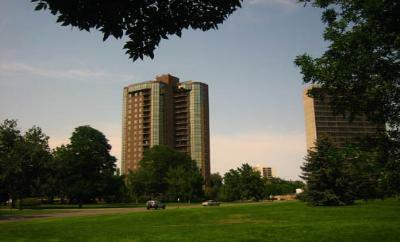 Park Towers is located in the Cheesman Park neighborhood, just outside of downtown Denver. The park is great for picnics, walks and bike rides. The condos are only minutes from the Colfax Avenue district where you will find great restaurants, cafes and pubs. Go to the Irish Snug and sing along to great Irish folk songs. Grab a coffee at the Gypsy House Cafe or enjoy Mexican food at Pete's restaurant. 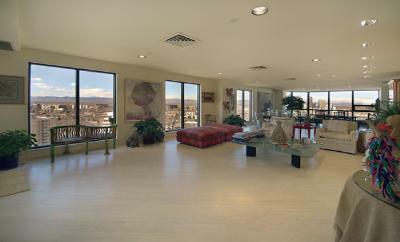 Balconies overlook the front range and downtown Denver. The lower level condos have covered patios. Interiors have tile floors and hardwood floors and many units have been remodeled with elegant and contemporary finishes. Amenities include a pool, gym and garage parking for the residents. 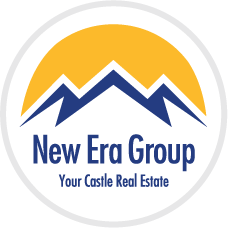 The sizes range from 1,805 to 3,899 square feet. 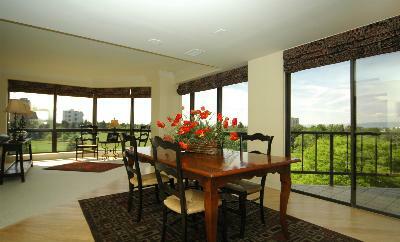 The Penthouses have private elevators, walls of windows and stylish interiors.